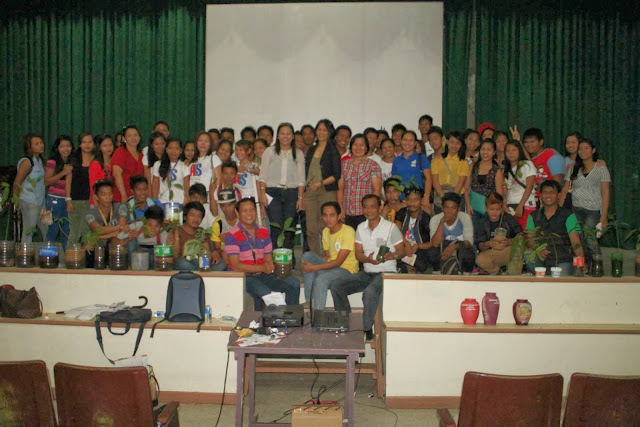 Bituen is currently accepting requests for workshops & trainings for developing positive attitude towards sustainable living. 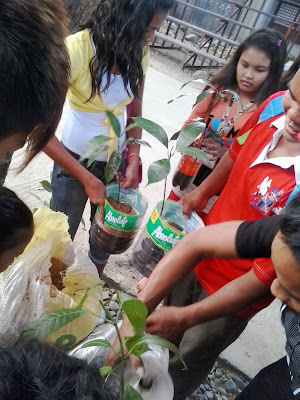 What to do with biodegradable wastes. 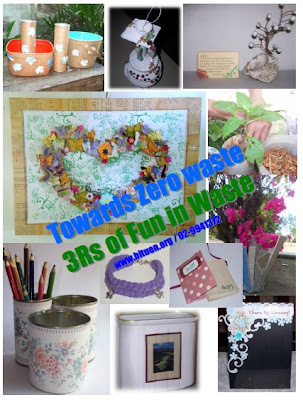 Paper, fabric, plastic & can upcycling. 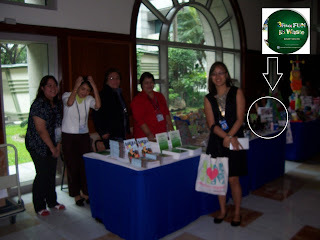 Please call (63)-2-9941372 or email bituen.org@gmail.com for inquiry or details. Images shown are actual projects from waste materials tackled during workshops. 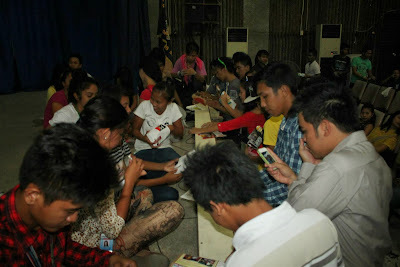 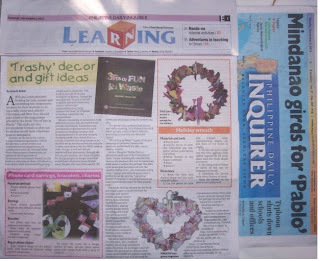 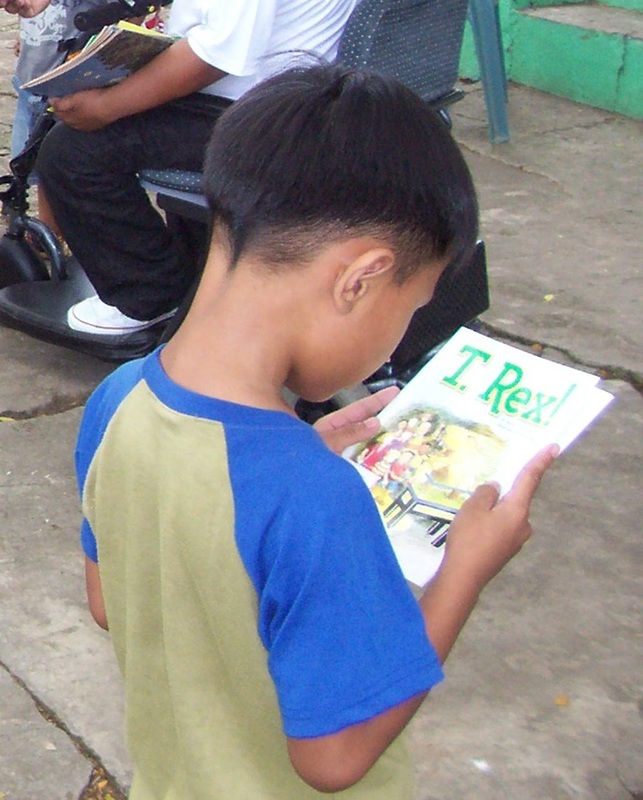 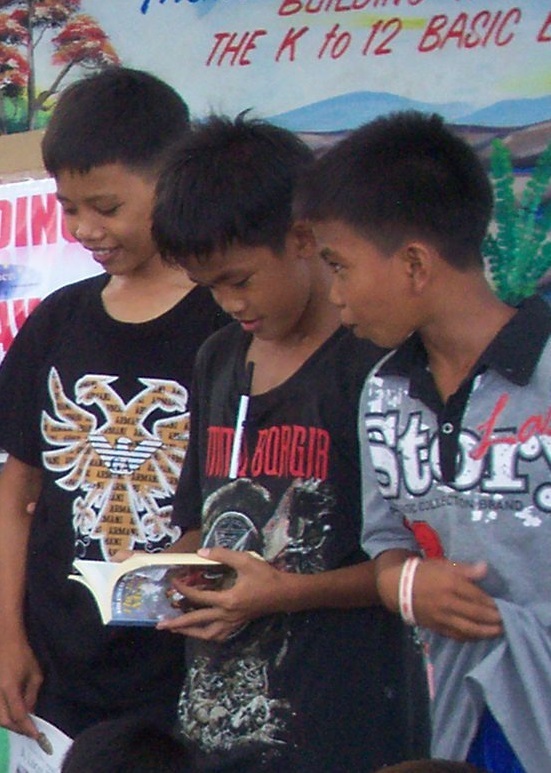 The culture of reading is the biggest problem in Philippine education. 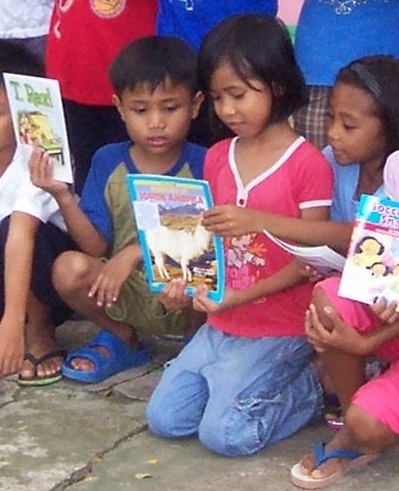 This is compounded by the quality of books provided to public and even private school pupils which is abominable, to say the least... If children were provided books at all. 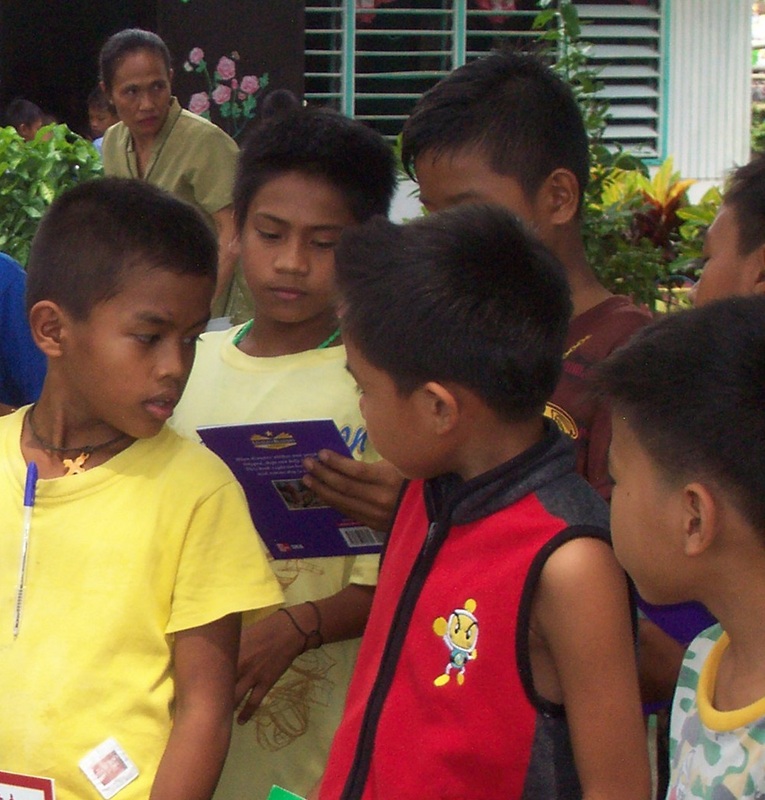 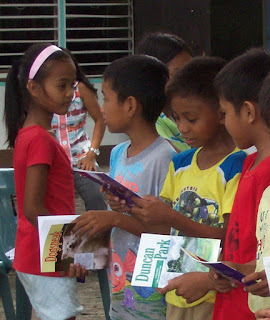 In the latest Reading Caravan conducted at Pideg, Elementary School in Pugo, La Union, all children in the school in June 5, 2013 (about 200 pupils in all), received their own books for their own reading consumption. 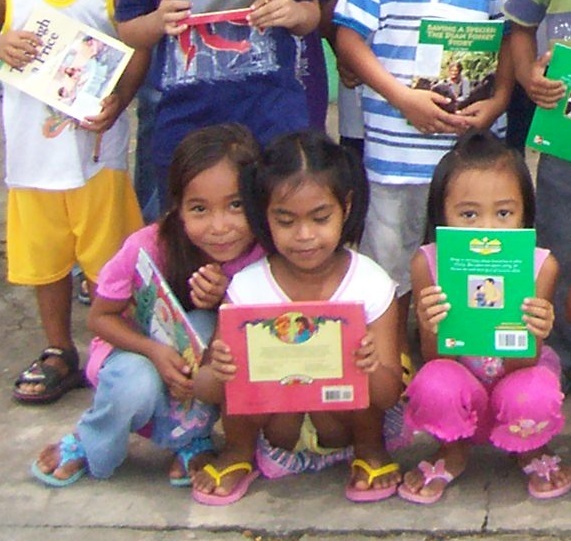 The actual photos provide an insight as to how the children feel about reading decent books. 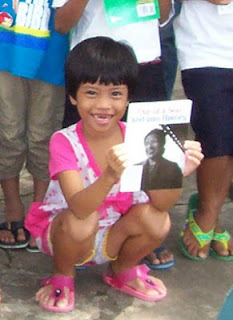 We do not need to spell the obvious: enthusiasm and joy is painted all over their faces about the books they received. The teachers acknowledged the difficulty in accessing books for the children's own consumption. 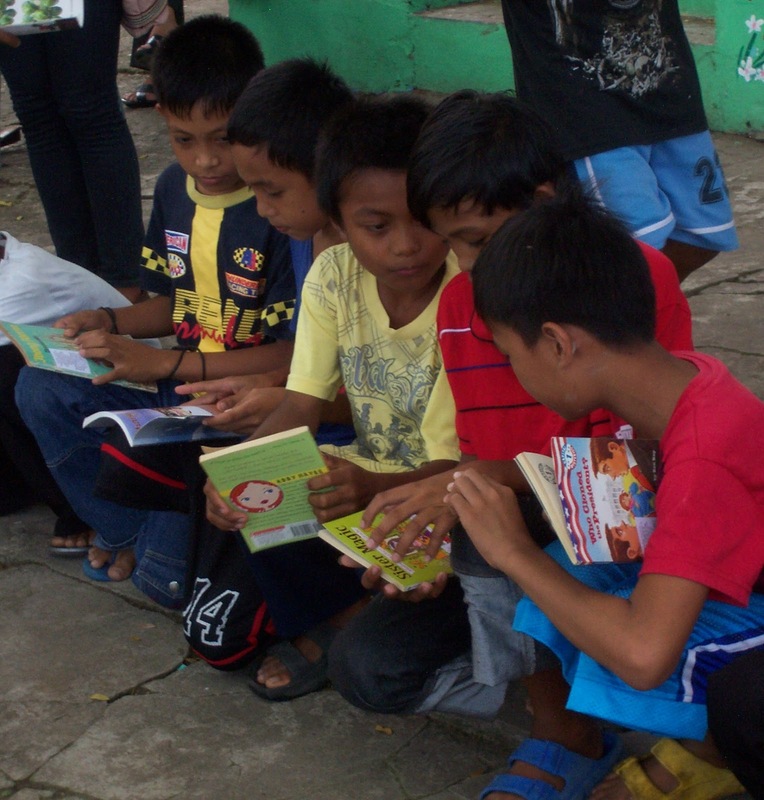 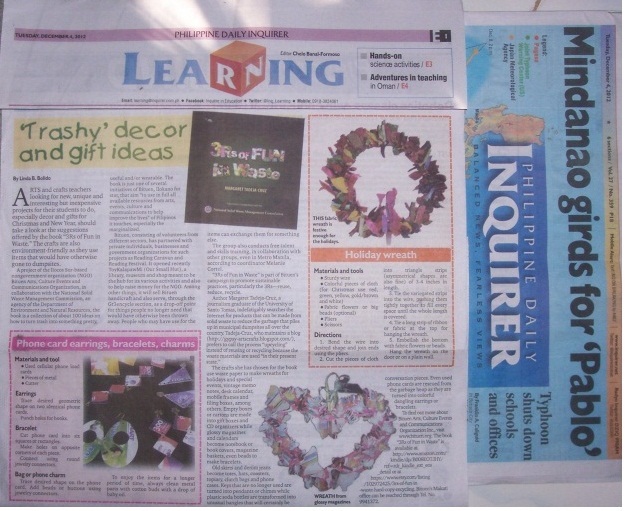 "The nearest retailer of books here is in San Fernando or Baguio (which are both several hours by bus travel)," the teachers said. To have an idea what is going on with the kind and quality of books provided to children in public (and private schools) which papers are openly known as fit for packaging smoked fish (pinausukang galunggong), you only have to look at the photo above, or read this. 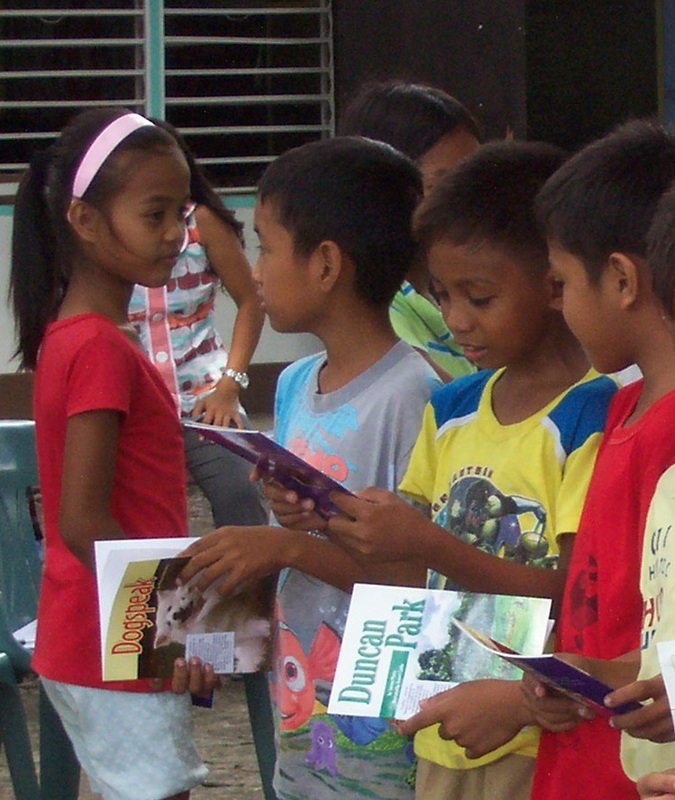 If the books had been an infra project, the equivalent cost for each could have been a few hundred thousand pesos (please read this) and their quality could have helped in DepEd's goal to improve a reading culture among pupils. Another problem seen by Bituen about this issue is the Philippine pop culture that places much importance and emphasis on television which is 24/7 promotional material for everything that spells profit for those who already have much. 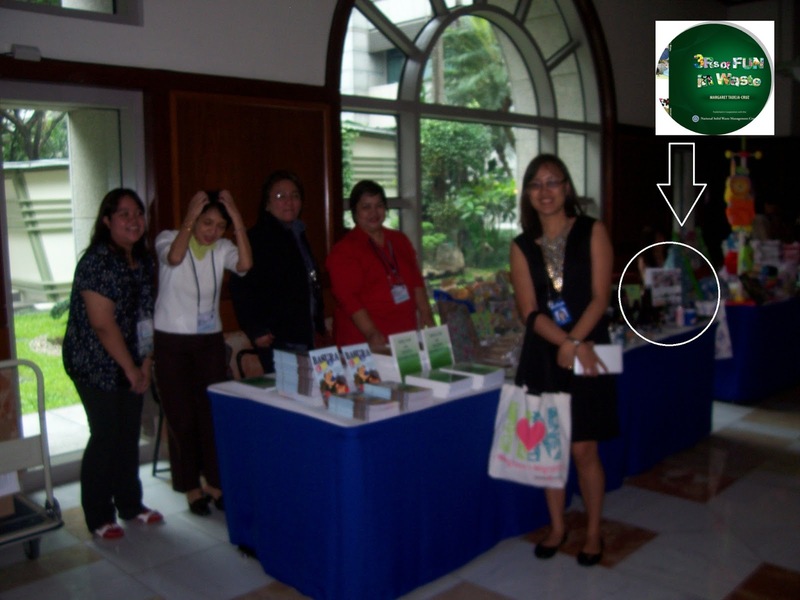 Every household tries to afford a television, but one can hardly see a single book, even in houses that are Mediterranean in style and obviously owned by OFWs. 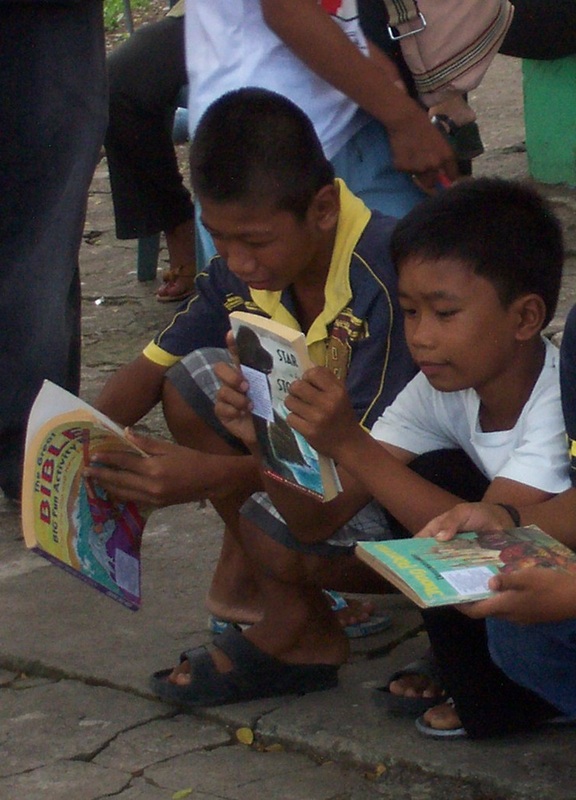 The third problem, as already mentioned earlier is access to books. This is the main reason why Bituen opts to distribute the books to the children and encourage them to swap with their friends or classmates after reading. The teachers were also asked to assist in book swapping in order to further encourage the children. 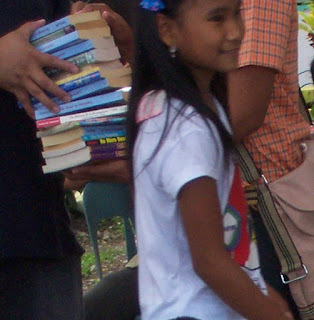 Read Philippines, Darien Books, Kilos Pilipinas, Sen. Bongbong Marcos, and others.